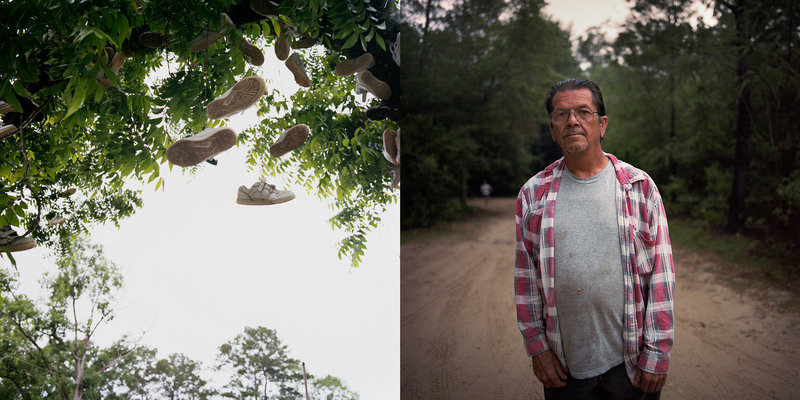 Left: Shoes from former wards of the Arthur G. Dozier School for Boys hang from a tree in Marianna, Fla. Right: Donnie Schoffner, 63, ran away from the Florida School for Boys with a friend and two other boys in 1966. They were all caught. He remembers the guard who caught him telling him he might get shot if he tried to run away. He was taken back to the school and whipped 45 times. Shoffner is certain that his friend who ran away with him died as a result of the beating he received.